We have a wonderful new buyer for this one bedroom one bath condo with an art filled lobby, a doorman, valet parking, 24 hour receptionist and all utilities included in the monthly condo fees. Located in Baltimore City in the Upper Park Heights Area. The lucky new owner will enter through double doors into a spacious luxury sixth floor condominium and enjoy the 23 foot covered balcony with two sets of sliders giving brightness to this spacious one bedroom, one full bath beautifully cared for condo. Closet appeal? They are everywhere...I counted 5 in the master bedroom plus a large dressing area. Eat in kitchen has pantry storage, dishwasher, refrigerator, instant hot, electric stove and room for a nice sized table and chairs. Convenient separate laundry room right in the condo unit and all utilities are included in the monthly fee. 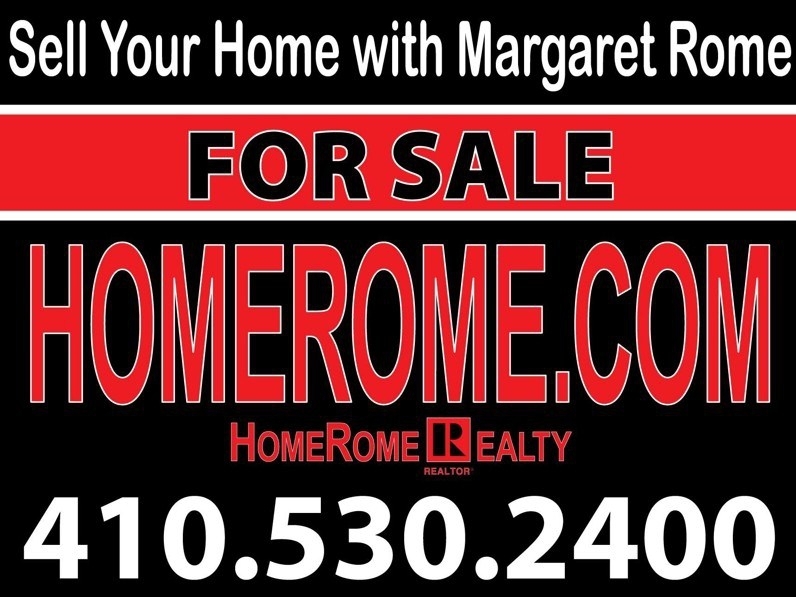 Another Baltimore Home Sold With Margaret Rome. 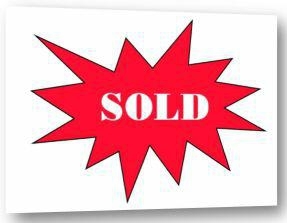 2804 Woodland Ave 21215 is sold and settled. This single family home in Baltimore is ideal for hospital personnel... within walking distance of Sinai Hospital where I was a former RN. 2804 Woodland Ave Baltimore, MD 21215 is located in the Cylburn area of Baltimore City. Here was your chance to own a Single Family cape cod with two bedrooms on the first level and a large finished attic (29" x13") that could be a third bedroom, recreation room, studio or office. Off street parking... the driveway leads to the back concrete parking pad with room for a carport or garage. Convenient location minutes from I-83, Light Rail, bus and just a few short blocks from Sinai Hospital. 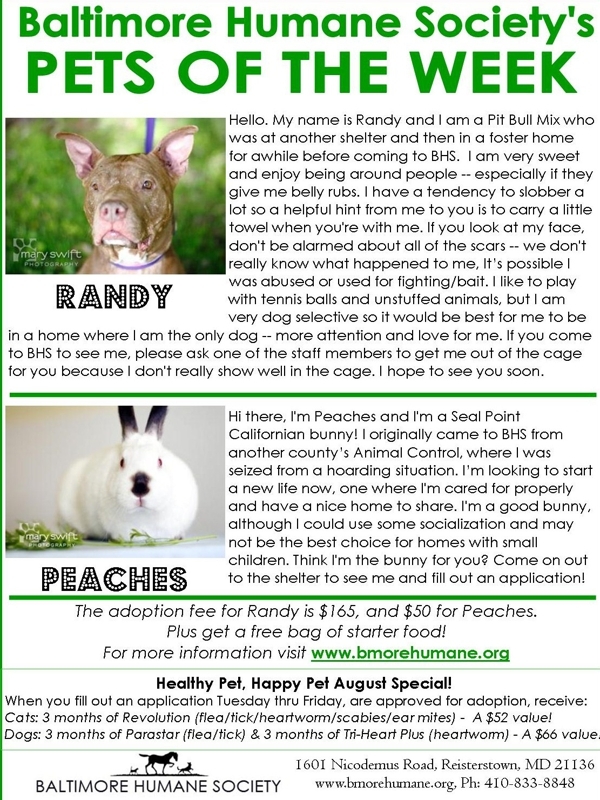 Baltimore Adoptions, Check Out Randy and Peaches! Thanks to the 19 people who met today at Bare Bones...our AR meetup was a huge success. They just keep getting better and better. This entire group is a delight to be around! Below are few photos and not a lot of copy. It has been a wonderfully long day....ending with a settlement. Check out the list of everyone at the bottom. 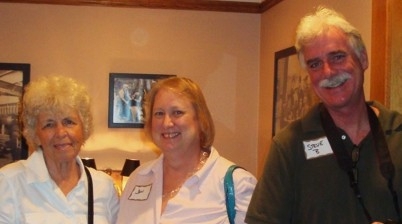 It was a Maryland MeetUp but Virginia's Lenn, Jan and Steve were wonderful guests. There were 19 of us who met today. Steven Bachman's Post with video. 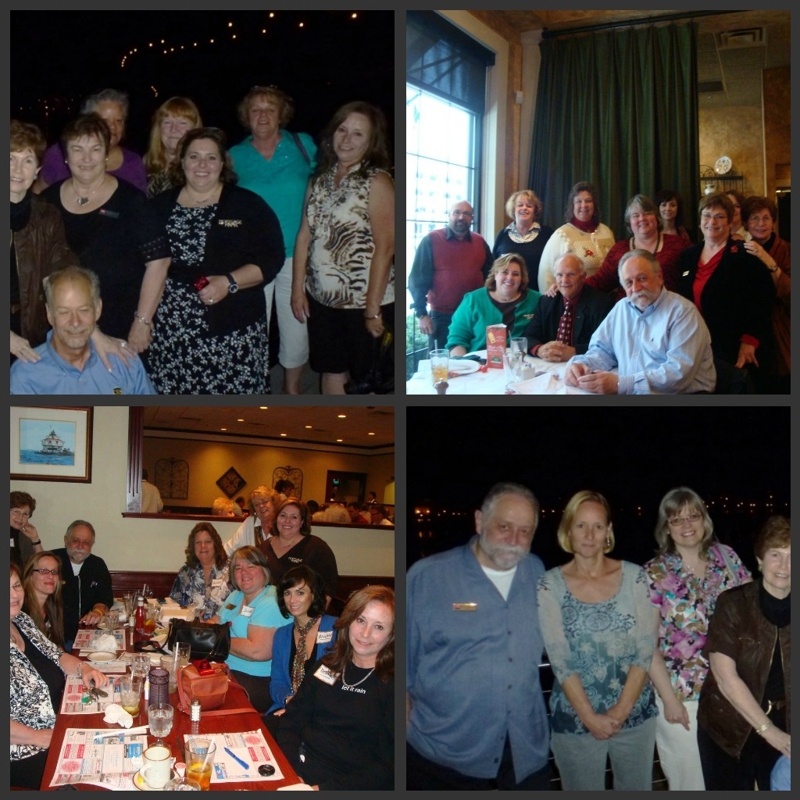 Why Diane Phillips loves ActiveRain Meet-ups. Will Be at the ActiveRain MeetUp Tuesday August 28th. (Rt 40) Ellicott City, MD 21042. Please let me or Martha know if you are attending. 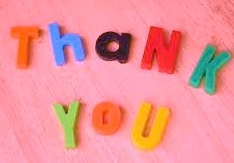 Here is our VIP list so far..
You are so busy...how do you have time to blog? It started with an early morning workout at the gym followed by a successful but long settlement of my Custom Rancher in Hernwood Heights . Right at the closing table, I was also doing a bit of negotiating and received an email acceptance of an offer made for a buyer that I have been working with in Carroll County. Thank goodness for the iPad. I was able to respond to the agent right from the settlement table and even send a missing page. A bit later in the afternoon, Lee and I drove to Southern Maryland to meet up with ActiveRainers Cheryl Richie and The Bachmans. We had a wonderful meal at Neptune's. The company was so good that we all forgot to take photos of the fabulous bounty of seafood and zuchinni straws. After dinner we took a stroll on the boardwalk and even visited the colorful farmer's market. And the drive home produced a beautiful colorful Baltimore sky. What Color is Your Maryland Watermelon? At a farmer's market in Pikesville, I picked up a watermelon...just a typical green melon that looked like all the other melons. What a surprise when I got home and cut into this 'typical' watermelon. It was NOT red but yellow. Tasted just like a normal watermelon but this was a first for me. Nope...not yellow but red like a typical watermelon. We had a wonderful closing this week with a few challenges that were worked out to everyone's satisfaction. Here is my kind of pay check. 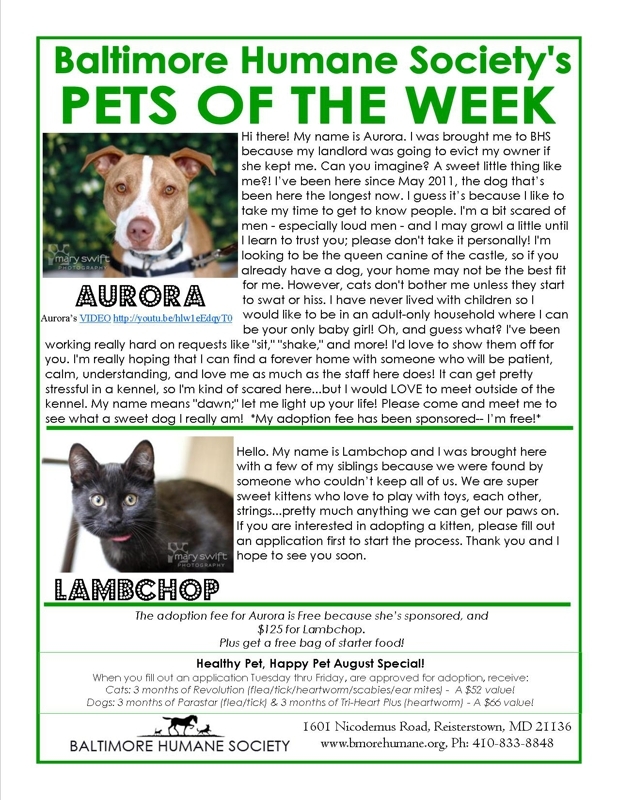 Baltimore Humane Society's Pets of the week. Can you Help find us a home? Can you Help find us a home ? Active Rain Maryland Meet Up Time again. Please let us know who is coming. Details below...thanks to Martha Brown. It's Active Rain Maryland Meet Up Time..
RainCamp is next week (if you haven't signed up you are missing sooooo much) and what would RainCamp be without a Maryland Meet Up? Ahhh it just wouldn't be the same. So Margaret Rome and I put our heads together as I wanted a place more central so some did not have to travel so far. Well ta da.... we found the perfect place (well Margaret did actually). It is Bare Bones Grill and Brewery in Ellicott City. Margaret has been there a few times and I headed there last Saturday to check it out myself. Yum!!! I was so enamored with the great food that I totally forgot to take any photos other than my French Onion Soup so you will just have to come out and join us to experience for yourself. Bare Bones Grill and Brewery is located on Rt 40 right across from Long & Foster's Ellicott City office. We are meeting for lunch starting at 11:30 on Tuesday August 28th and have room for up to 20!! Whoo Hoo!! 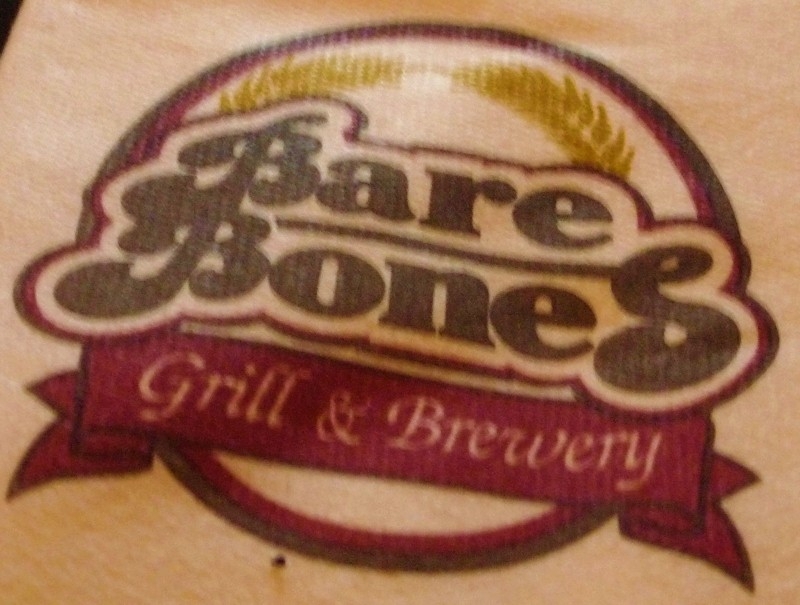 Here is the website for Bare Bones Grill and Brewery so you can check out the menu. It is delish and reasonable. So come on out for the Maryland Meet Up. There will be generous servings of hugs, laughter and conversation!! Let us know who is coming by commenting on this post! It's Active Rain Maryland Meet Up Time...Whoo Hoo!! Every effort has been made to assure that the information in this blog is as accurate as possible. 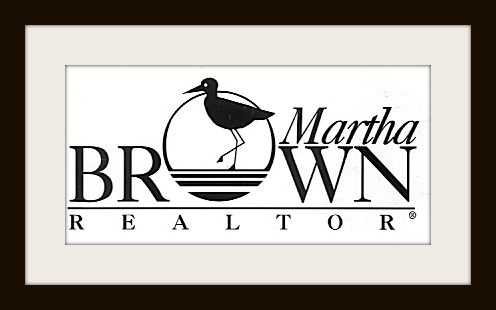 Martha Brown of Long & Foster Real Estate, Inc. disclaims any implied warranty or representation about it's accuracy, completeness or appropriateness for any particular purpose. This includes but is not limited to any information provided by third parties which is accessed through this blog via a hyperlink. Semi Detached with a front and rear porch, a level back yard and a one car garage! Separate dining room and fireplace in the spacious living room. Eat in kitchen with door to back porch. Three bedrooms upstairs and two full baths. Lower level recreation room has a wood burning fireplace and another full bath. All new windows and doors. Needs some TLC...so help make me beautiful again! Watch for more photos. This is a very special open floor plan, split level, with a wonderful addition done in 2006... including a great room, dining room and luxury master bedroom suite. The top floor master bedroom addition has 650' including a sky lit walk in closet room with custom built ins. (This room is even large enough for a nursery.) A pocket door divides this space from the master bathroom which has a corner soaking tub, separate shower for two and double sinks. Gleaming hardwood floors cover the entire first floor and cathedral ceilings are a plus in the living room. A sliding glass door from the dining area to the deck and fenced rear yard allows for a great deal of outside entertainment. Gourmet kitchen has granite counters, breakfast bar and is open to the living room, dining room and family area. Stainless steel appliances, a double oven and gas cooking make this a perfect place for the serious cook. Four finished levels with an amazing amount of space! Excellent curb appeal on a quiet street convenient to Greenspring Ave, Smith Ave and Beltway Exit 22.